Bijnor which is also spelt as Bijnaur or Bijnour is a city and the municipal board in Bijnor district in the state of Uttar Pradesh. 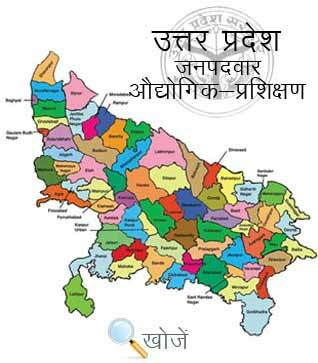 The government of Uttar Pradesh want to include this city in Delhi/NCR region due to its close vicinity to Delhi. It is located on the left bank of sacred river Ganga and is 460 Km from the state capital Lucknow. Hindi and Urdu are its major spoken languages. The city has a good literacy rate of 77.90% percent and boasts good degree and technical colleges and institutes. Bijnor has 4 Government Industrial Training Institutes and 17 private ITI’s imparting technical skills to the students. Today all the industries need skilled flow of workers and to understand the need and demand of technically skilled workers and to reduce the unemployment various Industrial Training Institutes and Industrial Training Centers are established under the Directorate General of Employment and Training(DGET) to offer technical and non technical education to the students. The basic qualification to get enrolled in these courses is matriculation and the minimum age is 14 years. Students can enrol in various courses like electrician, mechanic, Fitter, turner, wiremen, computer operator etc to earn better employment opportunities. Vyavasayik Pareeksha Parishad, Uttar Pradesh (VPPUP) is responsible for conducting the entrance exam for admission to various ITI’s in the state. Students can visit the official site www.vppup.in to know more about it. Aspirants can also visit www.upiti.in which offers complete information to the students about courses, result, counselling dates, online application form, admit card etc.